This heat makes me crave slices of watermelon and cherry snow cones. Piña coladas and glasses of Pinot Grigio with ice cubes. And the beach. Because the breeze is always cooler at the beach. I don’t think that will happen, though, so instead I’ll spend time preparing some of my favorite beach foods. I first tasted these coconut-orange muffins at Harpoon Hannas between Ocean City and Rehoboth Beach. They served the subtly sweet, warm muffins before dinner, and I could have eaten the entire basket. My sister discovered the recipe online years later, and the homemade version is just as addictive. And quite simple to make. 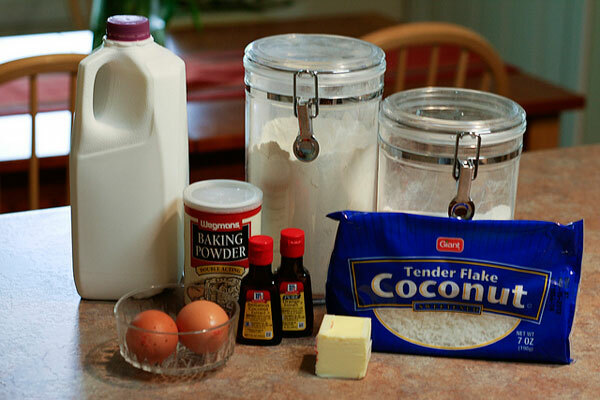 You will need: flour, sugar, baking powder, butter, eggs, milk, shredded coconut, coconut extract, and orange extract. First toast the coconut. You can do this in the oven or on the stove top, and it’s an important step because it enhances the flavor and gives the coconut a slight crunch. It can burn easily, though, so keep your eye on it. Next cream the sugar and butter. 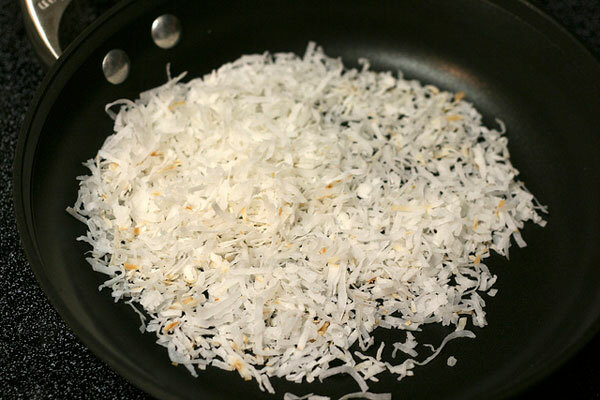 Add the eggs and stir in the remaining ingredients, including the toasted coconut. 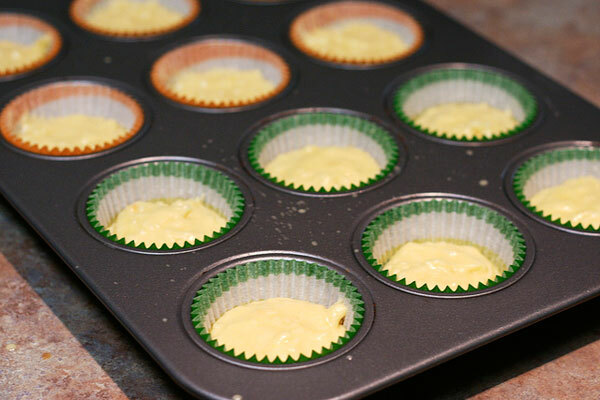 Divide evenly among muffin cups and bake at 350°F for about 20 minutes. Easy as that! 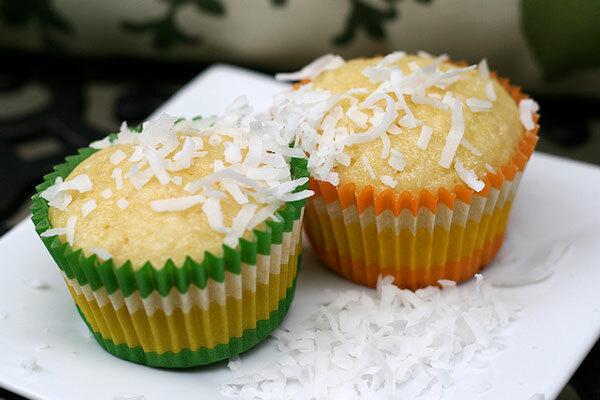 Sprinkle more coconut on top and fantasize about the salty ocean breeze in your hair and the hot sand between your toes. What food makes you think about the beach? Cream the sugar and butter. Add eggs. Stir in the remaining ingredients in the order listed. Wow, you are so tan in that photo! I feel like I can’t handle the sun as much as I get older but still love the beach. Margaritas and chips and salsa make me think of it! 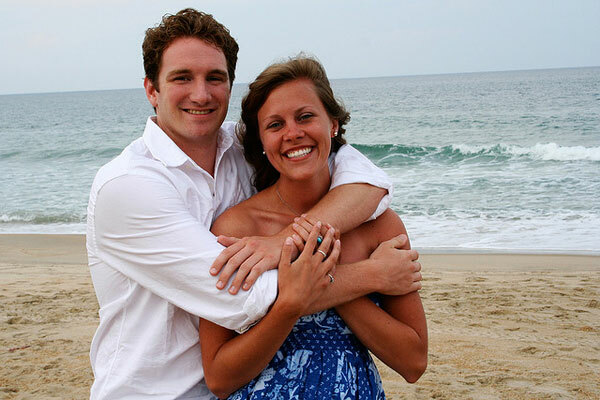 I’ve been dreaming of a beach trip this week too! These are an excellent looking substitute for the time being, though. Mmmmm! 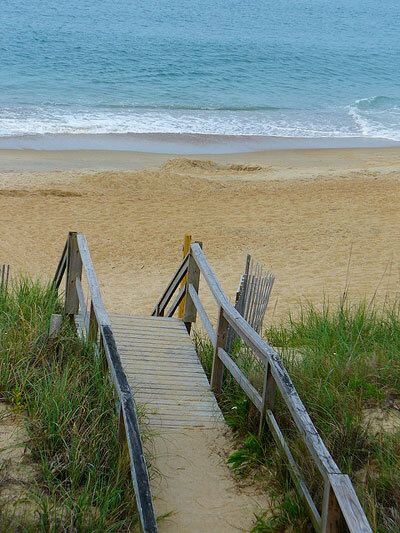 This makes my heart ache for the Outer Banks….one of my favorite places. My family had a house in Duck…so fun. And these muffins look fab! Harpoon Hanna’s has always been one of my favorite restaurants! I ate there on a trip to the beach with a friend in 7th grade and it was my favorite crab cake up until a couple of years ago. mmmm. 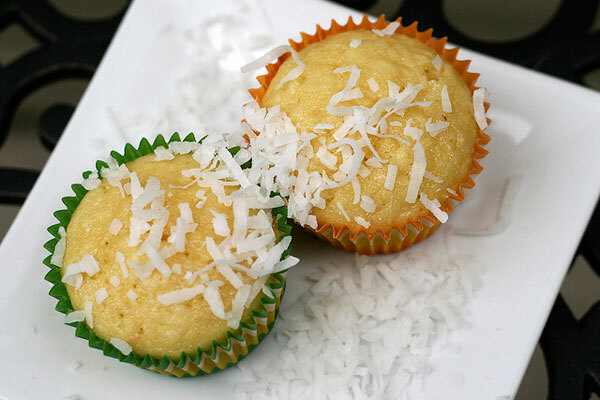 coconut orange muffins? yes, please! can’t wait to try.